Oh spring, where for art thou, beautiful spring? I know that your arrival isn't scheduled until late March, but it's been a really rough winter around here and I need a bit of sunshine right now. As luck would have it, that elusive season is the theme for today's Ten On The Tenth hop, giving me the perfect excuse to indulge my craving and spring ahead just a little early, regardless of what that groundhog said. You see, while I may be ready for tulips and daffodils to pop up and say hello, my world is actually still covered in ice and snow. Oh sure, I've been forcing spring with grocery store cuttings, but the idea of planting or making something pastel for display would be way too out of place right now. I sat down at my desk to put my thinking cap on and it didn't take long to come up with an idea, because the seed packet print that I had purchased ~ ahem ~ in the fall of 2016, was starting at me. It was still in its wrapper, neglected, pathetically propped up against the tile backsplash. It was way too pretty for its surroundings. Those blooms deserved to be showcased. And now I knew exactly how. 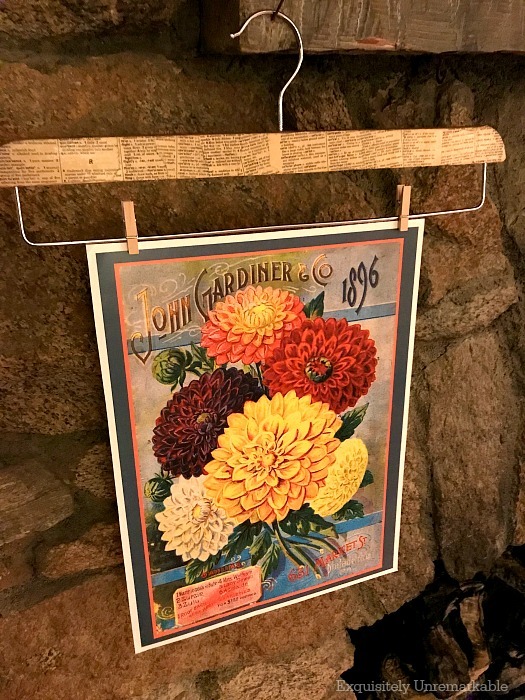 A few years ago, I transformed an old wooden hanger with book pages. I use it all the time, to display magazines, books and tea towels. It was the perfect partner for my seed packet. I grabbed a few of my mini craft clothespins that have been hibernating in the craft armoire and clipped the print to the hanger. Tricky huh? I love these little guys. They are super versatile and totally adorable...and make jobs like this one a snap. I thought about adding a ribbon or a twine bow to the base of the metal hanger hook, but the artwork is truly so bold and colorful (my evening photos do not do it justice), that I left it alone. 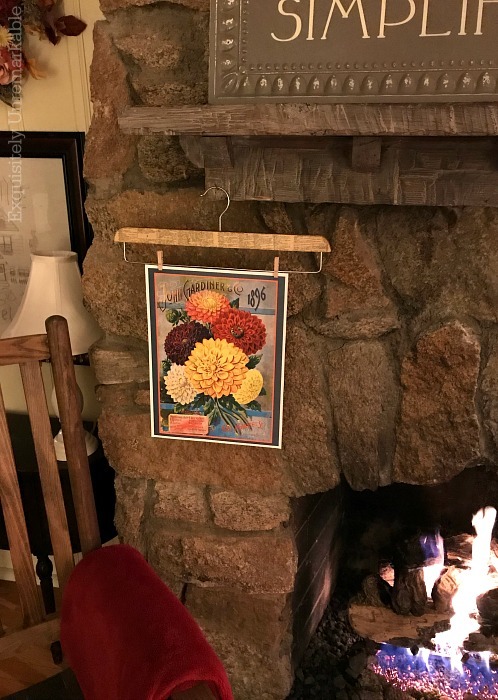 There were many places to hang my oversized seed packet in my sweet cottage, but the living room needed a bit of spring most, so I hung it on the fireplace. You'd never know it was freezing outside with this burst of warm spring color inside. Out of its package, spreading sunshine. And all for under $10. Spring in the middle of winter. Just don't tell that groundhog. 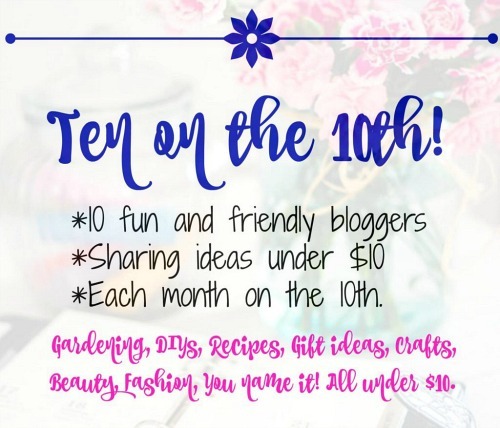 And now it's time to hop around with my Ten On The Tenth Friends! They have some lovely and creative ideas in store for you. Sit back, relax and soak in the spring! Good morning. I know you are quite anxious for the arrival of spring. I am in no hurry because there spring = summer for me. I love your book page hanger idea. I know your weather can get brutal in the summer, Lisa. There has got to be a happy medium somewhere!! This is very, very clever and cute! We have had such a gray Winter and I am ready for Spring, sunshine and planting my garden! Thanks Jemma...I am hoping that the groundhog was simply misinformed and spring will be making an early appearance! I may just have to be a copycat....again! 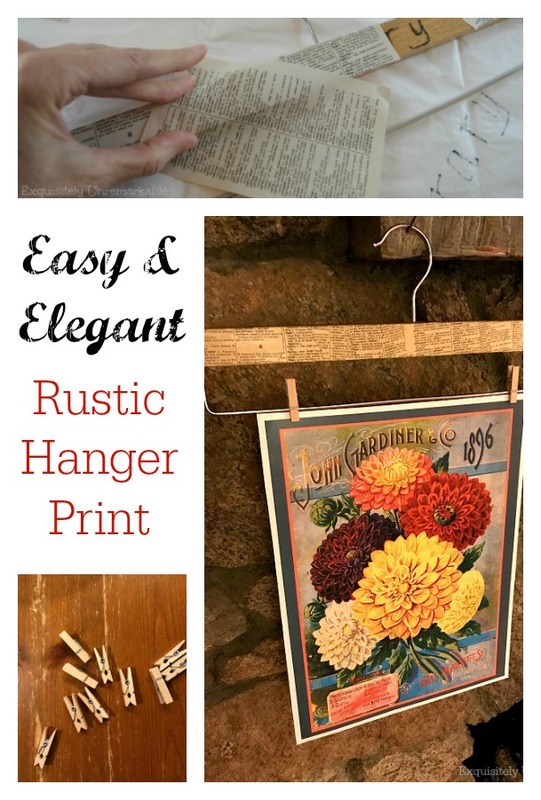 I have the hanger and thank you for the links to the pretty seed packet pictures! Ah, Spring! Hurry up! Copy away, AnnMarie...and if you don't want to pay for the print, Stacey shared a great idea and said you could substitute it with one of the hundreds of beautiful free printables available online. Here's to spring! I am also anxious for spring, but it is most likely 2 more months away in central NY! We just reached over 100" snow and I am losing my mind..lol. This is a cute idea for spring - I love anything that pictures flowers! Over a 100” of snow?? Oh Patti, I would have to move! We have had some pretty snow packed winters recently where the snow lasted from October to April and was piled up to the window of my car, but I don’t think we ever reached that number. You are a brave winter soul!! Thanks Cecilia! I will pop by for sure! That is such a cute idea, love it! Thank you so much! It was super quick with sunny results! Adorable. I'm going to have to see if I have a hanger to use. I love the print. So perfect for spring. Thanks so much, Katie! I found this one in the closet of my old house, I recently picked up a few more for a buck at the thrift store. I love them! Thanks for popping by and I hope it's warm and wonderful weekend! Your work and your writing is always wonderful! I love your idea, Stacey! There are so many great free printables out there. You could have a new one for every season, occasion or day of the week!! 😊 And thank you for your lovely words. You made me smile this morning. You go girl with your crafty self. This is really cute. Now wave your magic wand over this and make those come to life and lets see some Spring soon! We got 18 inches of snow here so no tulips popping up anywhere ugh! Have a great weekend. Nothing says spring like florals. I totally agree! Now I'm just waiting for the real thing! I'm right there with you, Kim--spring can't come fast enough. I love your print. It reminds me to start ordering some seeds for spring planting. It doesn't get any easier than this one, Mary...maybe it will summon a little sprint, too! A bright reminder Kim that spring WILL be back. Great idea for you hanger - very useful. Pinned. Thanks so much, Joy! And yes, it will be back...here's hoping it's sooner rather than later! Thanks for the visit and the pin. Enjoy the weekend! You have the best project ideas and the best tutorials! Laura, that is the kindest thing to say. Thank you so much! and I didn't even know they still make wooden clothespins. I love the colors in it too. and the old print on the hanger. old sheet music would look cool too probably! Thank you so much, Tammy. 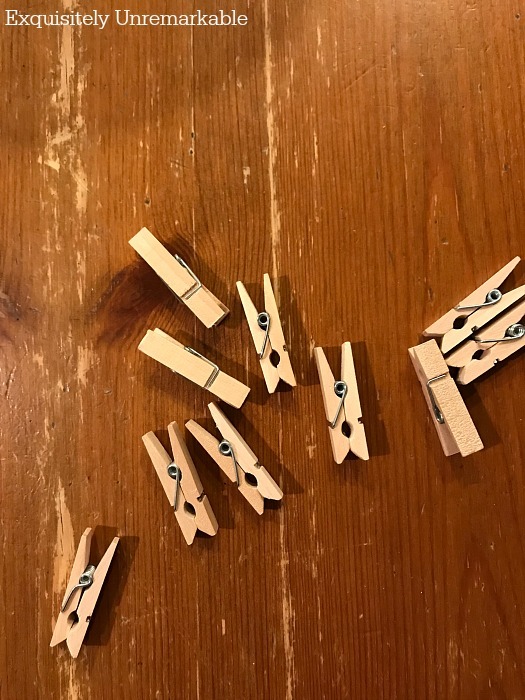 I love those darling little clothespins. They make me think about hanging the laundry when I was small...and yes, sheet music would be adorable. Great idea! It's truly the little things that can make our day. This is a great touch of spring. Now I have a different way to use those wooden hangers. Maybe I can find one at Goodwill. I did before, but then I donated them back when I couldn't think of anything creative. It will be awhile before I get out of the house though. I stepped off a curb last Saturday and rolled my foot, breaking two bones. Surgery is scheduled for Tuesday. I'm about to go stir crazy after just a week of sitting with my foot propped up. Ugh. But grateful it wasn't worse. I am so sorry!! I hope you are feeling well and back on your feet again super soon. I will keep you in my thoughts. Please keep us posted!! I'm hoping I can get my hands on an old hanger like yours! 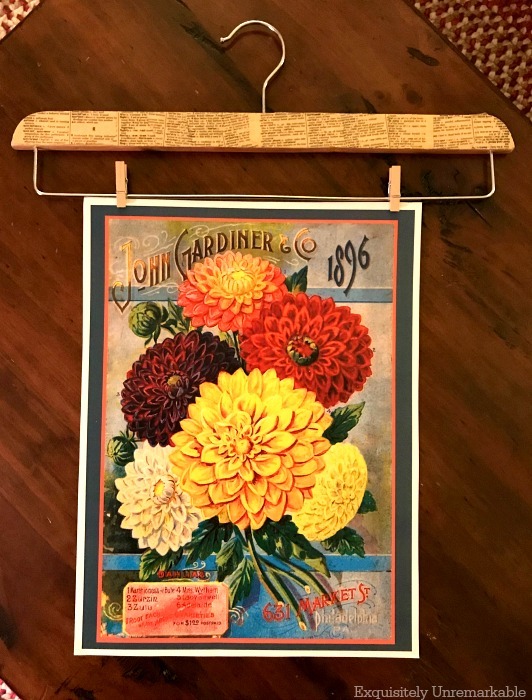 And you're so right-it's great for hanging a lot of things.I didn't know that they had seed packet prints on Amazon! One year I made Christmas ornaments from seed packet art that I found online. I did have them printed at an office supply store and they turned out great. I really like the size of yours, though! I am a huge fan of seed packets, Jane. I have a black thumb, but that doesn't stop me from buying the seeds! I fall in love with the artwork. Your ornaments sound lovely. I have to go peek at them! That's cute Kim. The simplest things often bring the most joy! It looks good there against the dark stone of the fireplace. Thanks Florence! It's a nice contrast against the fireplace. Very nice. That print has a vintage feel to it. Very appealing. We missed the last big snow that hit Minnesota. My kids and my brother who live in the Suburbs of the Twin Cities got dumped on but we had just the cold. We have had several very small accumulations since then but barely enough to cover the grass. I am ready for warmer weather. You guys get a lot of snow and cold. I am not sure I could live there! I am having a hard time here and our weather is laughable compared to yours. Supposed to be 70 here this week. I am keeping my fingers crossed that they weather people are right!! Thanks Deb. I wish I could quilt it!! Very cute Kim. I am sure it brightens your day. Thanks so much, Linda. It definitely adds a little sunshine! This is such a cute and cheerful project. :D I'm ready for spring, and I need to start fluffing our home for spring, too. What a great idea! I love the way this looks. I know everyone back east is having horrific winter weather, but out here in California we’ve had nothing but July-like weather since last summer. I’d like to have little cool, rainy weather before I start thinking about spring (and my roses could certainly use some rain!). Thanks so much, Melissa! California sounds beautiful...I would love to send you some rain! We certainly have enough precipitation here to share. YES! I think that would look great. 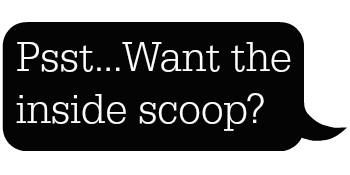 Keep us posted if you do it! I love those mini clothespins too! What a great little project! Only 36 days until Spring! Aren't they darling...and yes! I love the countdown. Forget advent calendars, I need a spring one!! What a remarkable and unusual craft. It certainly gives the longing for springtime a boost. 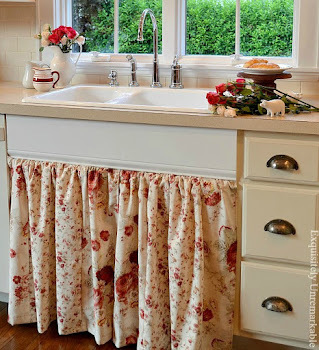 And yet another super cute, easy peasy, creation from my brilliant blogger friend Kim!!!! Dear Kim ... Such a cute way to bring a little sunshine inside while it is so cold and wintry outside. Valentine's Day is forecast to be 66 degrees here in Kansas. It will feel like springtime for sure. Oh Teri, I think your warm weather is making its way to us later this week. I cannot wait!! Oh that is so cute....I love it. I can't wait for Spring since its been so cold an snowy! You are the queen of cute and easy projects. This is so cute, Kim, and a perfect pop of Spring! Hope you won't have to wait through the snow and ice for too much longer! Thanks Carol. Snow this weekend, but it's supposed to be 70 this week! I am so excited!! Hugs to you and thanks for the sunshine wishes! This is adorable and my favorite flowers. Kim, you need to move to FL so you can never be cold again my sweet friend. Keep warm friend and praying the weather warms up soon. Oh Vanessa, Florida is one of my favorite places…especially in the winter. You are a lucky lady!! Think Spring ... yes, this definitely says that. ;-) Very cute Kim, as always love your creativity. Flowers always make me think of you , Carla...and smile! I'm sorry you're having such a rough winter, Kim. No complaints here, as it's been pretty mild compared to the 8' of accumulated snow we had last year, along with cold, cold, temps. Still, I'm ready for spring. Your spring seed packet hanging is very cute. Nice job. Hugs. Such a clever way to display a pretty graphic, Kim, I like it a lot. We had a lazy start to the winter, no proper rain until January and warmer than usual. It's picked up in recent weeks and the wild flowers are coming out in full force now. I saw a whole field of red anemones and did not have my camera with me. I will not live that shame down in a hurry. Oh boy that sounds like a beautiful view. Lucky you...camera or not, I bet you can still see it in your head!